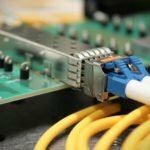 MTP/MPO to 8xLC Fan-Out Patch Cable supports 40 Gb Ethernet speeds and is designed for high-density connections between 40GBASE-SR4 network equipment. MPO/MTP harnesses cables are usually divided into three types of MTP-MTP connector, MTP-Common connector and MTP-Secure Keyed LC connector, according to different colors divided into SM, MM and 10G MM. 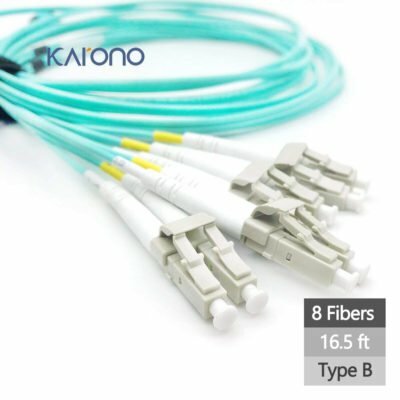 With one male MTP/MPO and eight male LC connectors, this OM4-rated multimode fiber optic fan-out cable supports various multi- and single-fiber connections. It fully transmits 40GBASE-SR with four fibers transmitting at 10 Gbps in each direction. 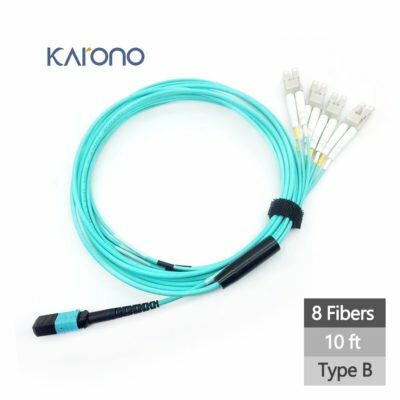 The 12 fiber breakout MPO(MTP) cables are offered for various applications for all networking and device needs like 100 Gig modules including CFP, CFP2 and CFP4 series. All of our MPO(MTP) harness cables meet IEC 1754-7 and TIA/EIA 604-5 standards.